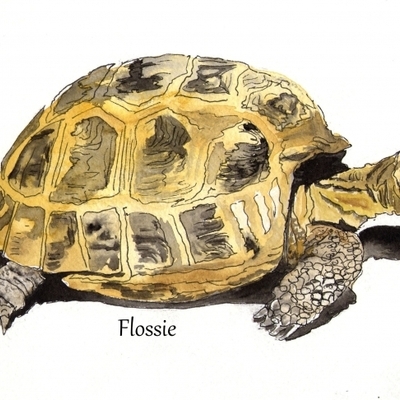 Bright, vibrant pen and wash paintings of local Island scenes. I also print these onto gifts including tea towels, mugs and tote bags. 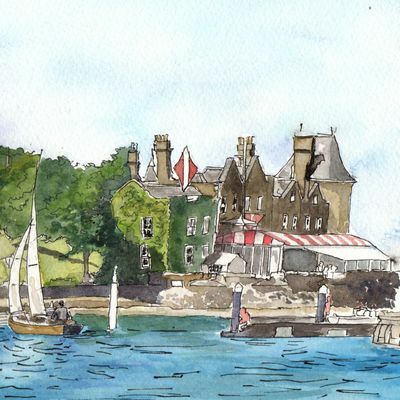 I am based in Gurnard, Cowes and a member of Cowes Art Group. 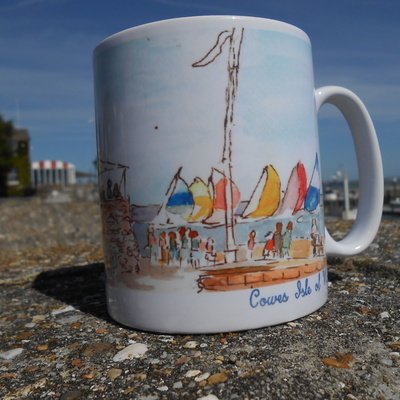 I started off printing a painting of Gurnard beach huts onto bags to raise money for my local church, and this has turned into a small business where I paint local scenes and create gifts with my artwork. At my church, Holy Trinity Cowes, some members of the congregation bring their dogs to the services, and so I branched into producing pet portraits as well. 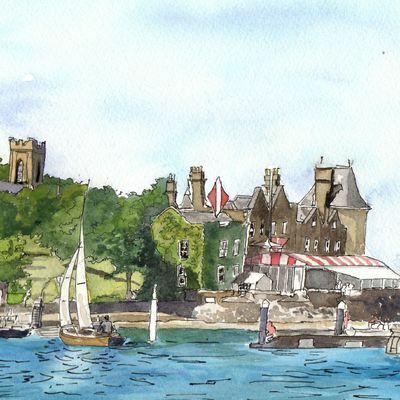 As Holy Trinity church is right next to the Royal Yacht Squadron, I have been well placed to paint sailing scenes, including the 200 bicentenary celebration of the Royal Yacht Squadron, which was exhibited at the Open Studios at Quay Arts. I will be exhibiting with Cowes Art Group during Cowes week.